Women do their very best to maintain their youth as long as possible. Some prefer healthy lifestyles, while others prefer sticking to cosmetic supplies, and even surgery. We suggest that you join the first group, so we have something special for you. 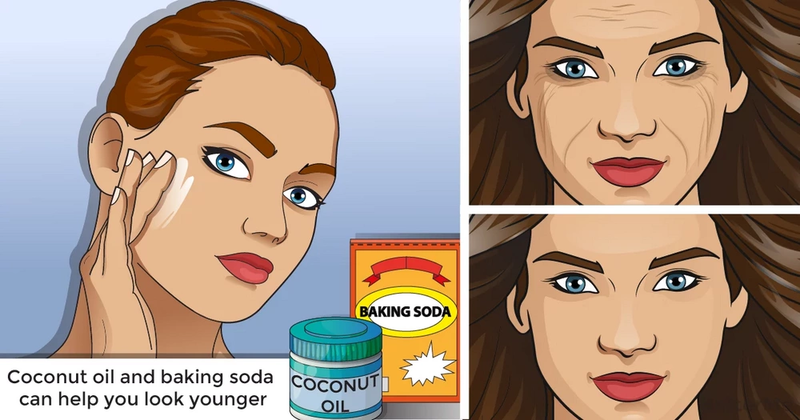 A cleansing face mask made of coconut oil with soda is a peeling mask. 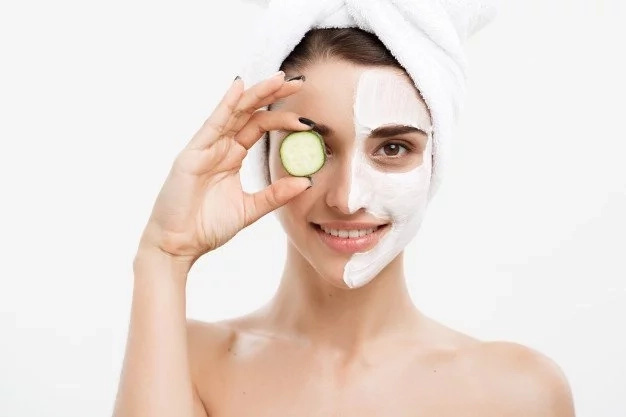 After washing the face with coconut oil and baking soda, the skin is cleansed thoroughly from dead cells, cutaneous fat and dirt, which can lead to clogging of the pores. These masks have now become very popular. They can be made, at home, from natural products and without adding harmful substances to the body. The mask gently cleanses the skin of dead cells, promotes blood flow and cleanses the pores. It neutralizes imbalances in pH, which are one of the leading causes of acne and dry skin.Soda eliminates inflammation and redness, treats problem skin and minimizes the size of the pimples. This oil is a good, nutritious moisturizing agent with antibacterial and antiviral properties. It can also heal skin diseases such as eczema and chronically dry skin. Coconut oil heals wounds, so it is great for acne prone skin. This is a simple recipe and it takes only a few seconds to make . #1. 2 teaspoons of organic coconut oil. #2. 1 teaspoon of soda (check that there is no aluminum in the composition). #1. Mix the ingredients in a small bowl. Use immediately and do not store. That is, prepare only for one application. #2. Make sure that the mixture forms a paste, and gently apply to the skin in a circular motion. #3. The mask should be kept on the face for no more than 5 minutes. #4. Wash off with warm water, massaging the skin in circular motions again. #5. Dry your face with a clean towel. 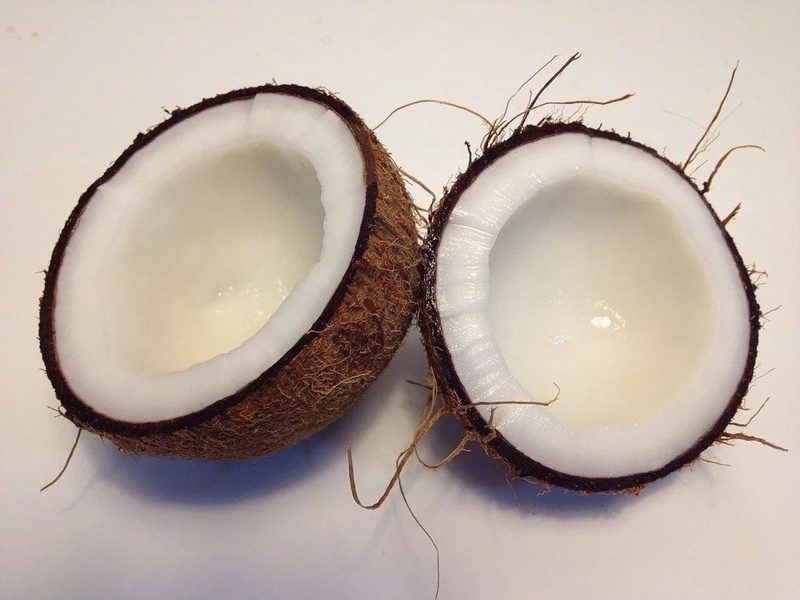 Coconut oil should saturate the skin well with water, so do not use moisturizers. We hope that you will like this facial mask from baking soda and coconut oil, and you will use it. It can help you look younger and shine bright. Don’t forget to leave your comments. Looking forward to hearing from you.